A Michael Jackson cornflake celebrity picture has come alive thanks to a talented NYC artist named Sarah Rasado. When we say cornflakes, yes we are talking about the cereal type of cornflakes if you were wondering. 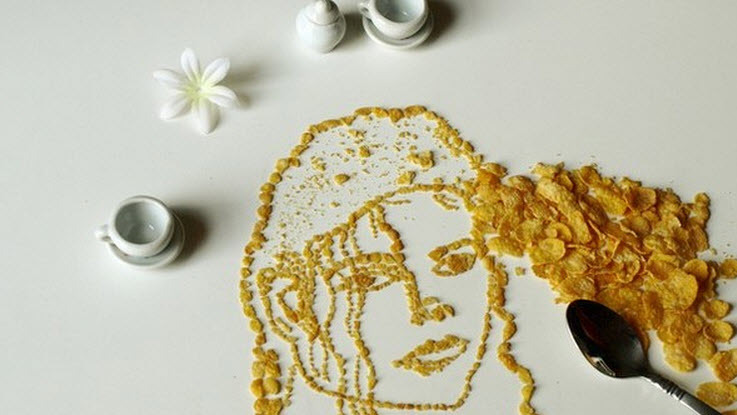 According to Sarah, the whole process of creating artwork from cornflake pieces is actually tremendously tedious. Sarah has also created such celebrities such as Rihanna, J Lo, Alicia Keys, John Lennon, Slash, and many more. She also mentioned that it just sort of came upon her one day to start creating art using cornflakes.